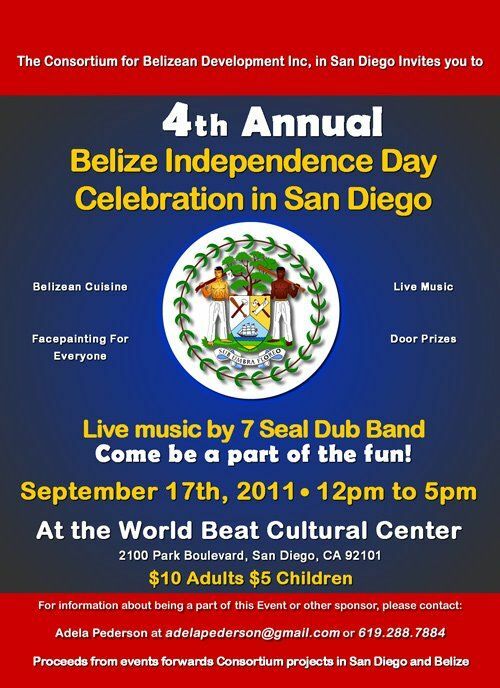 The San Diego chapter of the Consortium for Belizean Development invites family and friends to come out and celebrate Belize's 30th anniversary of independence . "Honoring our histories, celebrating our cultures, uniting in peace". We are proud Belizeans! !